Valeriya is the stage name of Russian singer Alla Yurievna Perfilova. Valeriya was born on April 17, 1968 in Atkarsk, Russia. Elena Vladimirovna Temnikova is a Russian singer who was born on April 18, 1985. She is one of the three members of the Russian girl group Serebro. Sofia Nizharadze is a Russian singer, songwriter, and actress. She was born on February 6, 1986 and has won several musical contests since she was young. Below is a video of one of her live performances. Youddiph is the stage name of Russian singer Maria Kats. She is popular and widely remembered for representing Russia in the Eurovision Song Contest 1994 held in Dublin, Ireland. 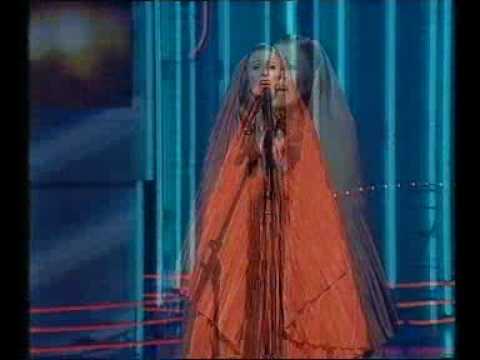 Here is a video of her performance in the Eurovision Song Contest. You are currently browsing the Russian Music weblog archives for March, 2009.